When I was little, I really enjoyed school dinners. Strange I know, as most people seem to have terrible memories of the stuff dished up in the school canteen. In particular, I enjoyed the puddings, with the exception of school rice pudding which was truly ghastly and has succeeded in putting me off for life. But I did love the old fashioned sponge puddings, served up with thick custard, especially when it was the pink variety. My children go to a small village school where they only have hot school dinners twice a week as they have to be brought in from a neighbouring school. On Tuesdays and Thursdays, I find myself interrogating the kids to find out what they ate that day and am always very jealous when I hear they had a hot pudding with custard. We didn’t really eat those kinds of puddings at home when I was a child, although occasionally I’d be treated to one of those sponge puddings that came in a large tin. That’s why I really appreciated visits to my grandparents in Lancashire, as my Nana Barbara makes the best puddings ever. When Nana came down to visit at Christmas, she brought some of her wonderful sticky toffee pudding with her, and I was in seventh heaven. Nana presented me with a large tray of the dark brown sponge cake to go in the freezer, with a jar full of toffee sauce. It’s been such a treat to be able to warm some up in the microwave at the end of a busy day at work and enjoy a bowl of blissful, homemade sticky stodginess. Nana was kind enough to let me have her recipe, and because I’m a generous soul, I’d like to share it with you too. Enjoy! Put the chopped dates and water into a saucepan and simmer over a low heat for 10 to 15 minutes until gorgeously thick and sticky. Stir in the bicarbonate of soda and leave to cool. Place the sugar and butter in a large bowl and cream together until pale and fluffy. Break in the eggs and add a few drops of vanilla extract, and beat it all together well. Carefully fold in the flour, followed by the gooey dates. Grease a baking tin (20cm square) and line with greaseproof paper. Spoon in the mixture and bake for around 40 minutes until the sponge is firm to the touch. Leave to cool in the tin for 5 minutes and then turn out onto a board and slice into 8 portions. To make the sauce, melt the butter in a saucepan over a low heat and then stir in the cream and sugar. Cook gently until the sauce has thickened and turned a glossy, dark caramel colour. Serve the warm sponge cake in bowls and pour over the toffee sauce. It’s very good as it is but, if you want to push the boat out, add a scoop of vanilla ice cream or perhaps a drizzle of cream. This article was first published in the Wells Journal on 20 March 2014. Sticky toffee pudding is one of my favourite desserts. I wasn’t a fan of my school dinners but loved the desserts, warm rhubarb crumbles, chocolate sponge cake with chocolate custard etc. Happy memories. 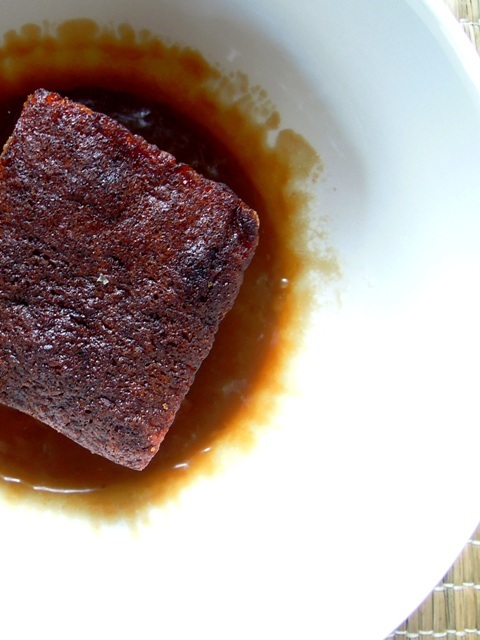 Sticky toffee pudding is such a delicious and classic dish. I have been working on a healthy version recently. MMmmmmmm……. Sticky Toffee Pudding! Yum!!! Need I say more? Sticky toffee pudding is on my top ten foods list. It’s so delicious. that looks lovely! 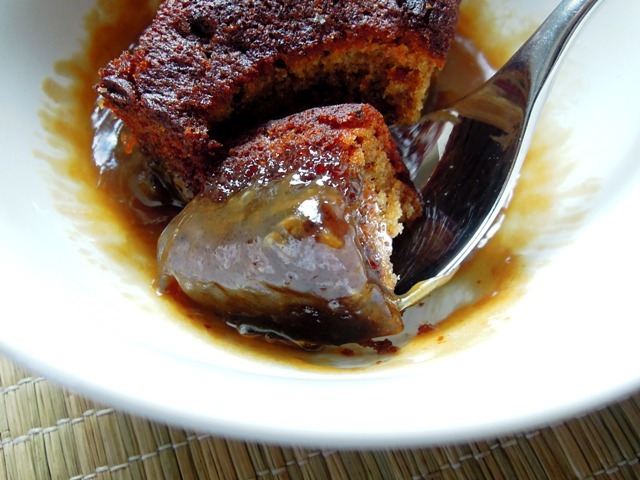 I might even try it some time as I too love sticky toffee pudding! Mmm…toffee! Mmmm…pudding! Looks like my kind of dessert! This just looks sooo mjammie! Will have to try that recipe. I too used to LOVE the puds at school, especially the sponges and jam roly poly’s with strawberry or chocolate custard! But then I seem to remember actually liking all my school dinners. We didn’t have puds like this at home either, it was always something fruity, a crumble or pie. And sticky toffee pudding is my weak spot on a pudding menu, a dish of the pudding gods! Your nana’s recipe sounds superb, thanks so much for sharing.